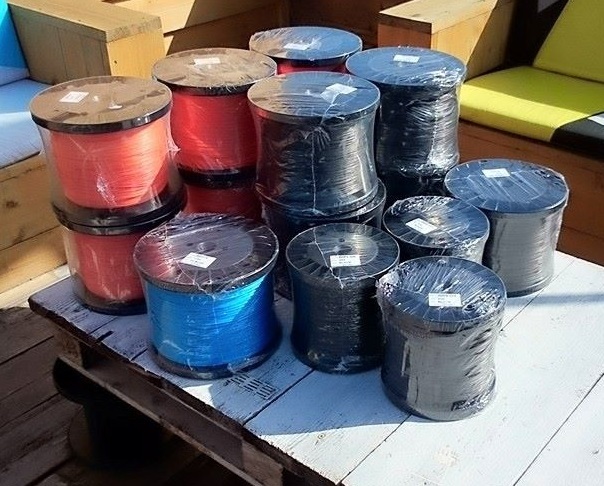 We offer a wide variety of Dyneema Sk75 lines from multiple manufacturers ranging from 170-550DaN strength. You can devide the lines in two groups: lines you splice and the ones that you can’t that needs to be sleeved. Splicing means that you open up the weave of the line and bury the tail of the line into itself to create a loop. 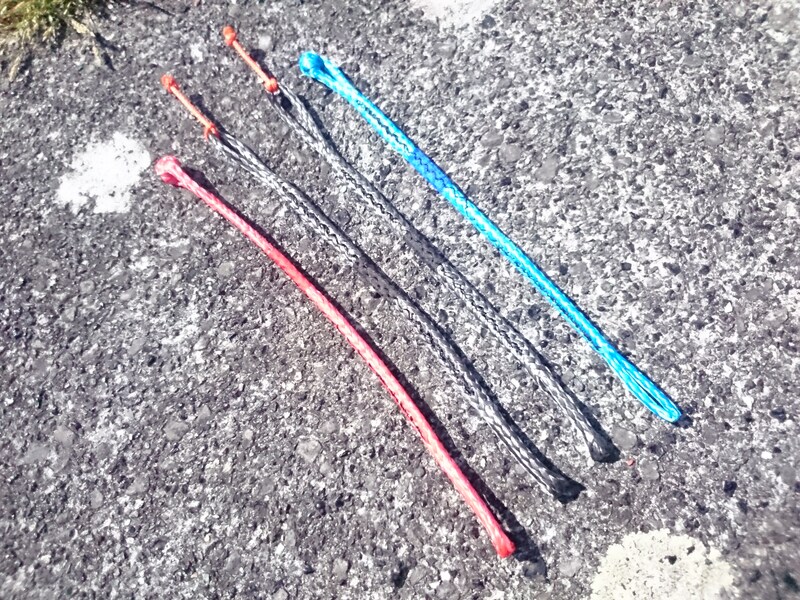 This is the strongest way to create a loop in a kite line but because of the nature of Dyneema and the strength needed it is impossible to make a knot into the loop, used to connect the kite-pigtails onto. 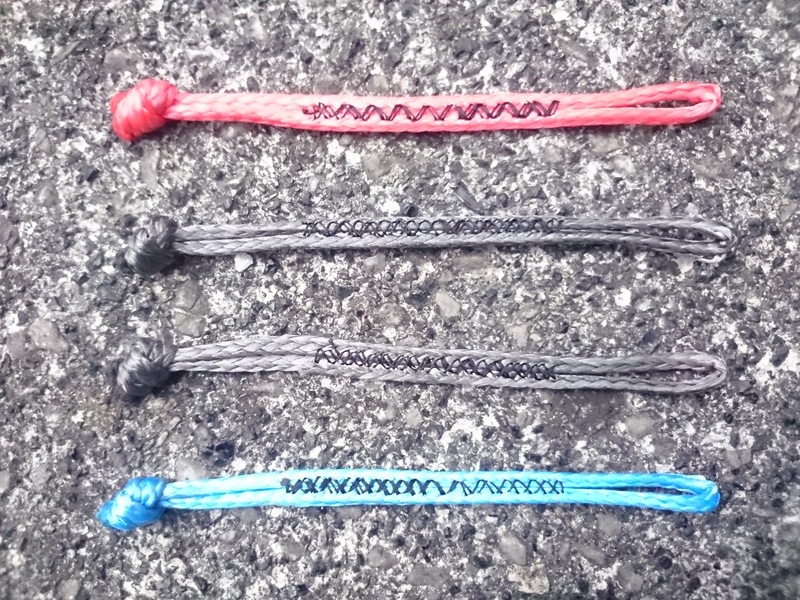 To make those knots possible and to prevent wear of the line-loop pigtails are used on the end to make the connection with the kite. Pigtails are made of stronger, thicker dyneema lines so a knot and wear does,t impact the pigtail that mus as the flying lines. Sleeving is done by pulling a protective polyester webbing over the line-end to combat wear and improve the breaking strength when a knot is added into the sleeved line-end. But destructive tests show that a splice+pigtail combination will always be stronger and longer lasting than a polyester sleeved line-end. A part of our line collection is woven is such way that a splice is not possible to open the weave thus they need to be sleeved.